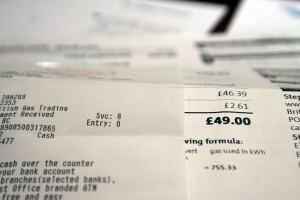 A recent report from TransUnion discovered that those who defaulted on their mortgage as a result of the economic recession are not as likely to be credit risks as others with multiple past-due accounts.To conduct its research, TransUnion compared auto and credit card loans between those with mortgage-only delinquencies and those who have more than one account with late payments. The study found only 5.8 percent of those with only past-due mortgage payments were at least 60 days behind on their auto loans, while 13.1 percent of those with multiple delinquencies were also guilty. Regarding credit cards, 11.4 percent of mortgage-only delinquents hadn't paid their bills in over 60 days, while 27.1 percent of those with many past-due bills hadn't paid either.”This new market segment that the recession created is an important one for lenders to understand,” said Steve Chaouki, group vice president in TransUnion's financial services business unit. “They have the potential, today, to be stronger and more reliable customers.”In Houston, properties have become incredibly affordable, meaning more homebuyers could soon be in the market. With mortgage-only delinquents found to be more credible, a greater number of applications could soon be approved.Courtesy of 2M Realty News?